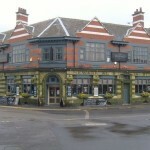 Trying to find pubs in Doncaster? You’ve come to the right place. We’ve got every pub and bar in the UK listed. Whether you’re looking for a pub or bar in Doncaster to play darts, somewhere to play pool or just want to have a look at a menu before you go, we can help. Paris Gate in Doncaster shows football on TV. The pub has terrestrial TV. 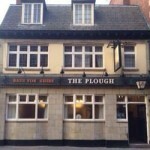 Plough in Doncaster serves real ale. Tut 'n' Shive in Doncaster has a beer garden. The pub serves food, it has an outside area. Tut 'n' Shive serves real ale. The pub has free WiFi, it is a member of Cask Marque. Railway in Doncaster has a function room that can be booked. The pub serves real ale, it has free WiFi. Railway has a dart board. The pub has a pool table, it shows football on TV. Railway has terrestrial TV. The pub is a member of Cask Marque. Leopard in Doncaster has a beer garden. The pub has a car park, it has a function room that can be booked. Leopard has an outside area. The pub serves real ale, it has a smoking area. Leopard has free WiFi. The pub has live music events, it has a pool table. Leopard shows football on TV. The pub has terrestrial TV, it is a member of Cask Marque. 21/11/2012 Nice pub, friendly locals. 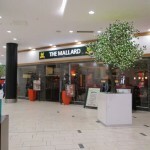 Mallard in Frenchgate Shopping Centre has a car park. The pub has a function room that can be booked, it serves real ale. Mallard has a smoking area. The pub has free WiFi, it has a dart board. Mallard has a pool table. The pub has a big screen, it shows football on TV. Mallard has Sky Sports. The pub has terrestrial TV, it is a member of Cask Marque. Serving a wide range of Cask, Keg, Bottled and Canned Beers, Bottled Ciders, as well as a small selection of Wines, Spirits, Tea and Fresh Coffee. So whether you're on the daily commute, out shopping or meeting friends, why not call in? Formerly The Great Northern this is now a young person's meet. Noisy and sometimes quite busy, the jukebox can be heard as you approach. Open plan one room bar. Has 2 handpumps currently in use. Corner Pin Inn in Doncaster has a beer garden. The pub serves food, it has an outside area. Corner Pin Inn serves real ale. The pub has a smoking area, it has free WiFi. Corner Pin Inn shows football on TV. Gate House in Doncaster has a beer garden. The pub has a car park, it has disabled facilities. Gate House is a family friendly pub. The pub serves food, it has an outside area. Gate House serves real ale. The pub has a real fire, it has free WiFi. 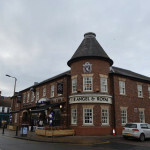 Gate House is a member of Cask Marque. Loaded in Doncaster has free WiFi. The pub shows football on TV, it has terrestrial TV. 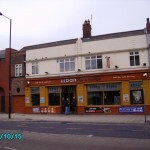 Lloyds No.1 Bar - 20-28 Cleveland Street, Doncaster! Great deals on food and drink throughout the week! 5* Food Hygiene. 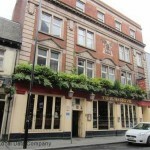 Doncaster Trades & Labour Club in Doncaster has a function room that can be booked. The pub shows live comedy, it has a dart board. Doncaster Trades & Labour Club has DJ's. The pub has karaoke, it has live music events. Doncaster Trades & Labour Club holds Poker Nights. The pub has a pool table, it has a big screen. Doncaster Trades & Labour Club shows football on TV. The pub has Sky Sports, it has terrestrial TV. 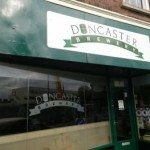 Number 15 in Doncaster has a beer garden. The pub has a function room that can be booked, it has an outside area. Number 15 has a dart board. The pub has DJ's, it has karaoke. 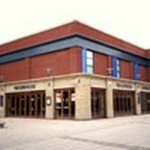 Number 15 has live music events. The pub holds quiz nights, it has a big screen. Number 15 shows football on TV. The pub has Sky Sports, it has terrestrial TV.